Valentines Day is coming and let’s be honest…. 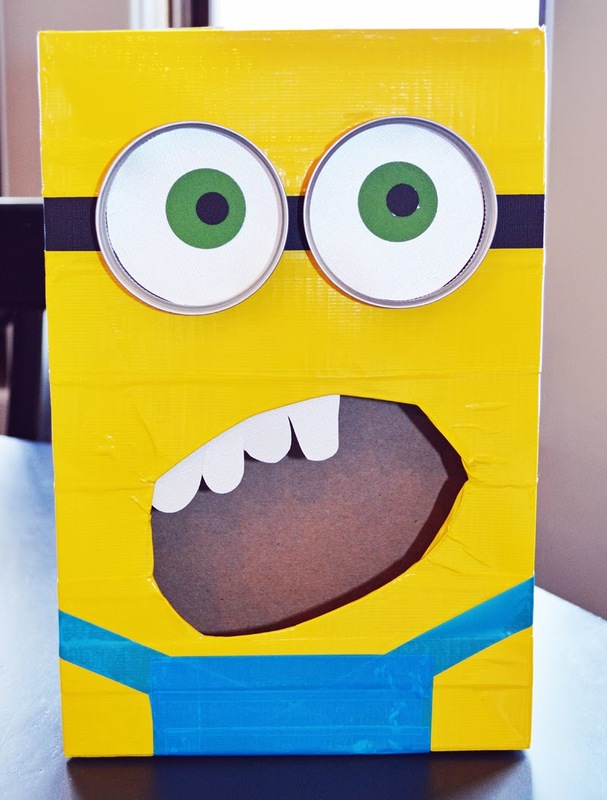 Those Classroom Valentine boxes are just as much a parents job as it is the student! 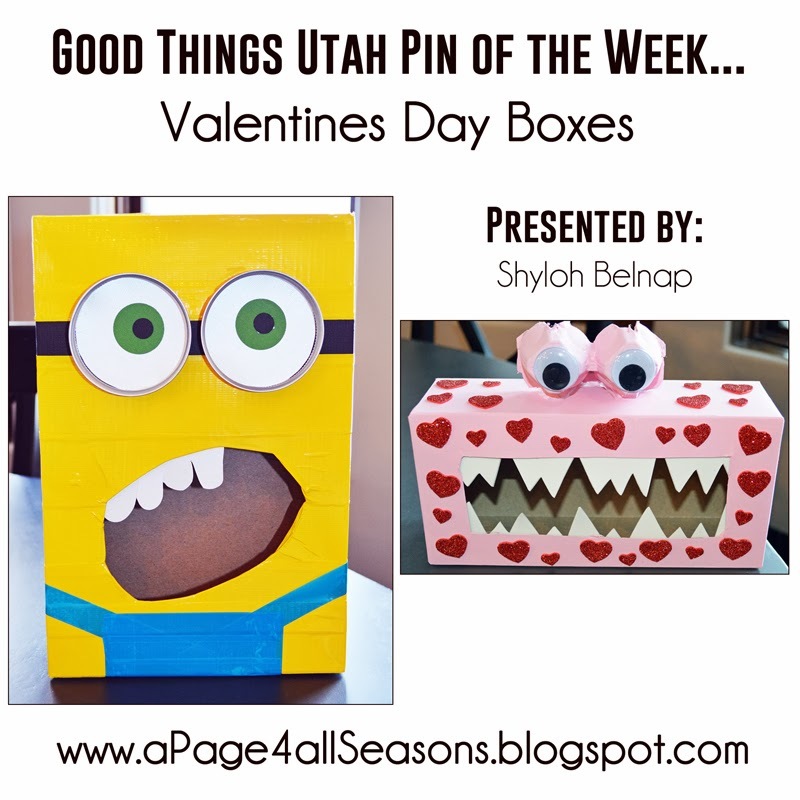 I tried 2 different popular pins and thought they were both great options when YOU (I mean, your CHILD) makes their Valentines Box. Cut the hole where the mouth will be. 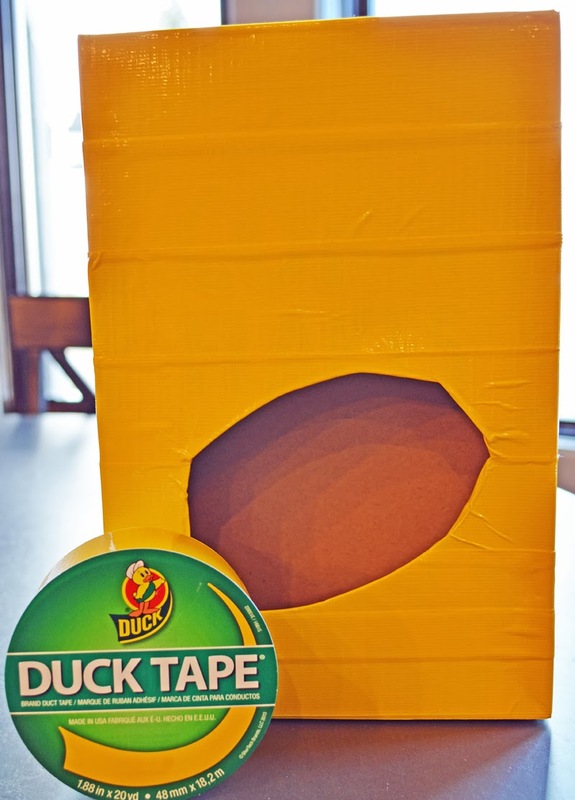 Hint: Since you will be using Duck Tape to cover the box you can cut right through the top! 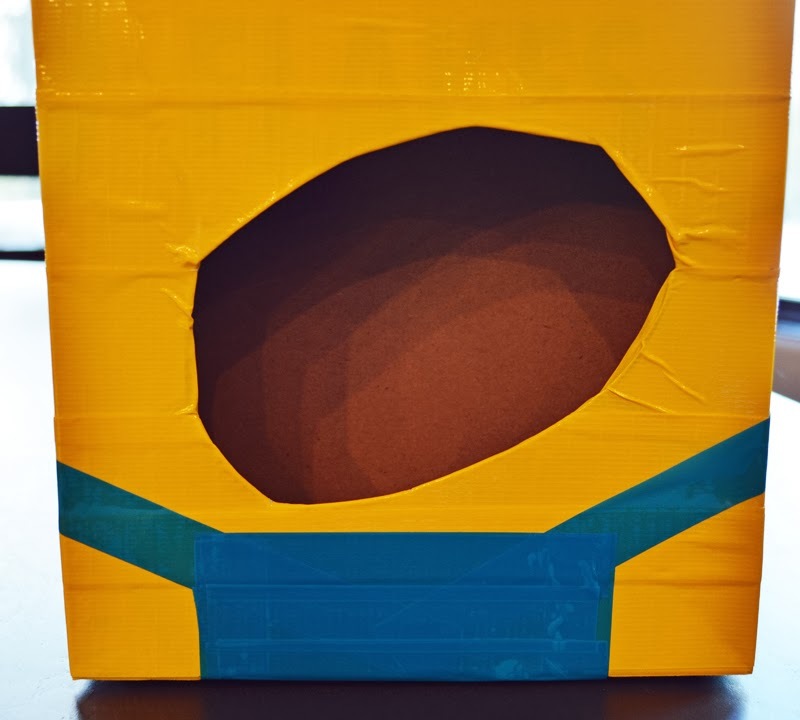 Cover the entire box with yellow Duck Tape. I had to cover it with 2 layers due to it being a little transparent! 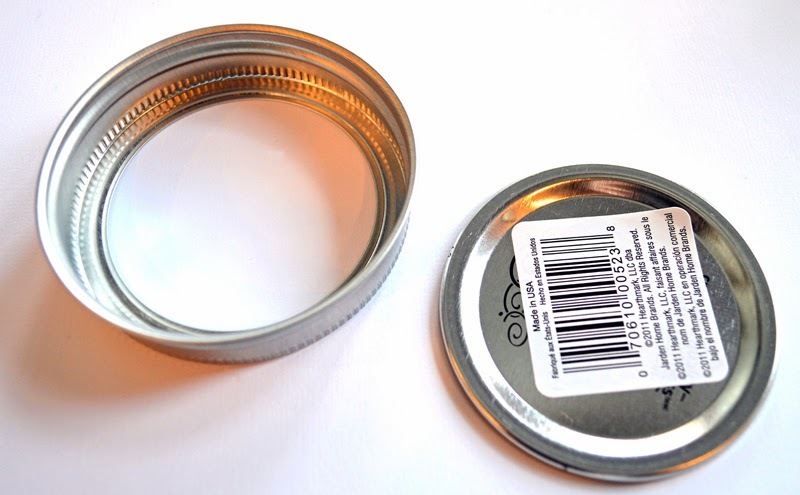 I used some Kerr Jar lids for the glasses. I just used the inside part of the lid to trace the white paper and then used a 1 1/4” circle punch and a 1/2” circle punch to make the eyeballs! 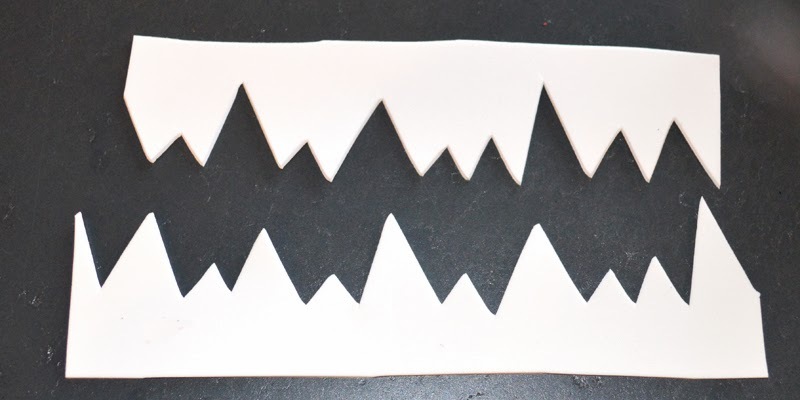 With white paper, just freehand cut some “bad teeth” and stick them in the mouth opening. 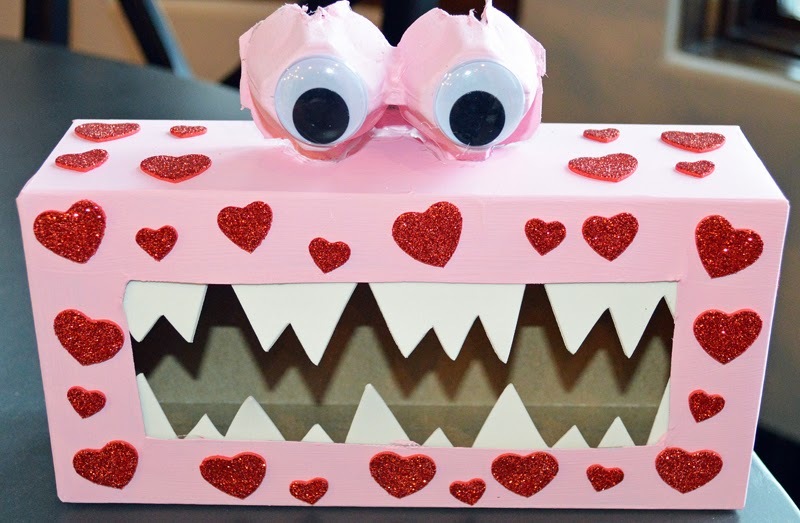 This box can also be used as a “tattle monster” after Valentines Day. This pin also has a darling printable you can use to tell your kids what to do!